David thank you for the great DIY. The choice of editing is certainly interesting. I wonder why an epic thread such as your 3 rotor build has not been edited but this one has considering the share valuable information about individuals, products and the like that should be available for ALL FD owners to consider and draw their own conclusions. I'd suggest by editing certain information out of this thread, lack of information exposes potential second and third hand buyers to potential danger if they are not aware of what led (get it, LED...ok bad pun) you to pursue this path in the first place. David's product review thread still exists, in the feedback section where it belongs. Anyone is welcome to take a gander over there and read to their heart's content. This DIY thread is in the Tech section where it belongs. Hi Rich! Which tech section is the original article hiding in? I know you have the best interests of the board at heart and I know you enjoy helping other members out. Would you be so kind as to provide a link in this thread for the original thread? I'd be hard pressed to believe that someone as smart as yourself wouldn't see the value and relevancy in doing so. pretty impressive, and a great weekend project while the car is down for the winter. I had originally moved it to 'vendors, parts suppliers and shops' but although the thread showed up during a search, that section can't be accessed from the main page. Kind of odd. Due to that glitch, I just moved it to the 'bad & fugly members' subforum under the Feedback section. Just some helpful feedback I wanted to share. It looks like your lights are plenty bright from straight behind the car, but they lose brightness if you are viewing them at an angle - the left side lights look evenly lit because you're right behind them, but the right side lights look unevenly lit and darker. If I remember correctly, to meet DOT & NHTSA requirements the lights must meet a brightness rating from a 45 degree viewing angle. I would guess this photo was taken at about a 30 degree viewing angle, and already the passenger's side tail is looking a lot darker compared to the driver's side. Thank you for the helpful feedback. 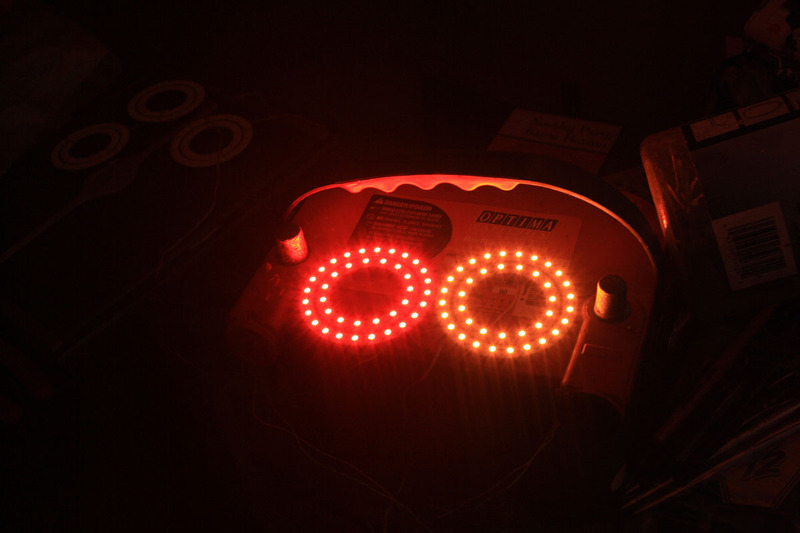 The LEDs used for the center brake lights are LUXEON Rebel automotive LEDs and are considered the de facto standard for premium automotive lighting. Three of them are mounted together by www.luxeonstar.com to make up the component included in the parts list. "Philips Lumileds automotive specification LEDs are changing the look and performance of automotive lighting applications. The entire exterior lighting solution set from headlights to signals to brake lights and daytime running lights, can now be optimized for design, efficiency and longevity with our unique automotive lighting solutions." What does this mean? The brake lights would be tested using a "light sphere" and the brightness of the light would be measured at multiple points in that sphere, from 15 degrees up and down, to 45 degrees left and right. A total would be calculated from the multiple points and would have to meet a minimum standard. My belief is the lights would pass this standard easily and if not you could turn up the intensity until it passes. You specifically point out the viewing angle from left to right. First, in person you can't see any degradation in light output from left to right and the viewing angle is much wider than 45 degrees - see the technical info on the LEDs. As you also know the reflectors used in the assemblies have a wider than 45 degree angle so the net result is a beam pattern greater than what is needed. See M104-AMG's observations above as confirmation. Finally, DOT requirements specify that at various angles the lights must meet, in addition to the above TOTAL light output rating, a MINIMUM light output. I am confident what I have done in the redesign will meet these minimum requirements as they are quite low. 4) I don't own a light sphere for testing but believe these would pass based on the above. They certainly fix the previous light output issues with my Theorie LED modifications. They simply are not appropriate in brake light applications due to their low light output. Note the brightness or MCD rating of the previous LEDs was 500 MCD. The new 5050 units are much better, coming in at 3500 MCD or an improvement of 7X. Now remember from the previous testing, the brake lights need to be 25X brighter than what you had to be equal to the OEM stock output. So, while 7X is an improvement, it is not bright enough as it would need to be 25X the light output of the originals. This is not entirely how it would work out though as the above datasheets are for red LEDs, not the incorrect white ones you previously used. To compare apples to apples, I looked up the light output ratings for the white 3528 SMDs and they are 7,000 MCDs. From my testing, we know only 5% of the red light made it through the red lens (it acted as a filter) so we can conclude 350 MCDs of light output from your old light design. So, assuming you are now going to use the correct red 5050 SMDs, you will increase light output from 350 MCDs to 3,500 MCDs, or by a factor of 10X. Thus, you are still very short of the 25X increase needed to be equal to or greater than the stock light output. Finally, we're now talking MCDs versus the 400 lumens ratings of the LUXEON Rebels I have used. Check out the 5050 SMD datasheet and the white LEDs. They give you the lumens ratings on the 5050 units and it is 16 lumens. This is a far cry from the 400 lumens of the LUXEON LEDs. How many SMDs would be needed to get the light output of the LUXEON assembly I have used? The light output of the RED 5050 SMDs is 3,500 MCD or 1/2 of the 16 lumen output of the white SMDs. So, to equal the 400 lumen output of what I have used, you'd need 50 of the red 5050 SMDs to do the job. Don't think that would fit to well into the center brake area. Second, the viewing angle on 5050 SMDs is 100 - 120 degrees. The angle on the LUXEON LEDs is 125 degrees. No difference here. And it won't matter how you configure them as the reflector angle comes into play here to funnel the light out. These are just an inferior methodology compared to LEDs that are specifically intended for brake lighting. Why risk safety on a 13 cent per unit LED when a more appropriate solution exists? First of all let me say congratulations on making your own tail lights, looks like you've spent more then a little bit of time on them. The thread started out as a "review", I believe there is a forum for reviews. Your original thread morphed form a review thread into a DIY thread. You removed all of the components from Toms conversion and used your own. 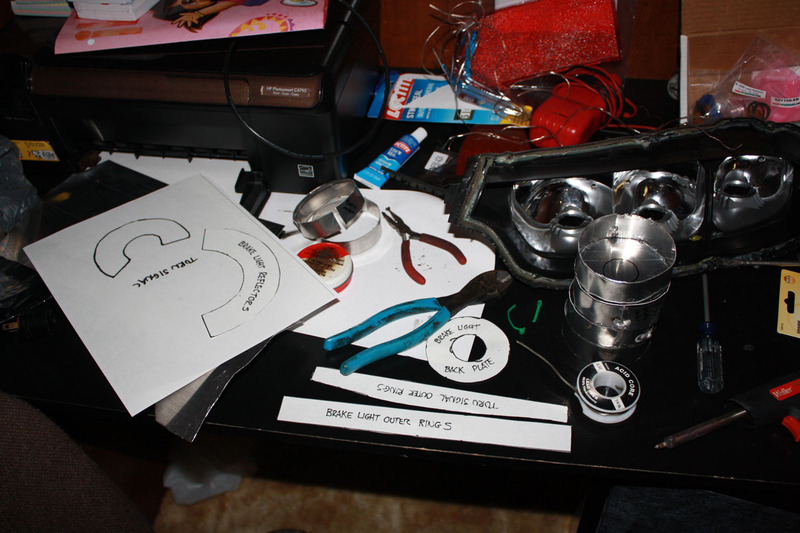 You meticulously documented all of the parts used in your design including pictures, part numbers prices and the time it took you to build correct? If that doesn't fit under the the definition of a DIY, I'm not sure what does. Can you not see the difference between a "technical review" and a complete re-design? Lets point something out, Toms conversion cost you $400 total. You've just spent $400 on components alone plus 20 hours in labor. I think if anyone were to do your re-design conversion as a service, it would cost at least $800-$1000 based on the material and labor inputs..
Last time I checked the Iphone4 camera was pretty good when used in the right hands. See the videos below, pretty impressive stuff. No this is not the case. The thread was a product review intended to point out the deficiencies and safety concerns of the Theorie taillight modification. To date, this remains the case. The DIY modifications done by me are in response to offering a safety "fix' to the Theorie modifications and are a continuation of what has now been moved to the 'bad & fugly members' section. Regarding cost, with discounts, the components would come in at around $300 and it would take about 8 hours (see my previous posts on this) to complete so I would think an appropriate price point would be about $600. I think the $200 increase is well worth it from a quality, light output, and safety perspective. Of course that would be up to whomever would want to commercialize this. Finally, the iphone might do well under other conditions but for photographing LEDs, it's not good. Rich, the moderator of this thread set forth specific rules regarding it and any new information to be posted. The thread was to focus on my set of Theorie LED taillights and then any new technical information, including DIY modifications and results. I have fully complied with the mandates and respectfully ask the thread be returned back to its previous 3rd Gen setion location and title and all information be restored into one thread. Good to see you've made the tail-light re-design you primary job. I'm sure it's just the photos that make the lights appear dim at the angle. Though the continued criticisms about my "Version 2" lights is a bit unnecessary. #1 you have never seen my Version 2 design, only a couple of photos I posted before from I finished tweaking them, and #2 you don't know the parts I've used other than the generic title for the LEDs I've used. You can say, "Oh, you can't use those, they'll never work!" but that is called an "opinion," and despite what you told me on the phone about how you've "never been wrong," people can be wrong from time to time. My new Version 2 prototype has proven itself to be quite an improvement from my original design, and I'm happy with the results. You know David, I only made about 30 sets of the Version 1 tails, and several of them went out of the country. A few more were for show cars that aren't daily driven, two sets were for myself, and a couple of sets for close friends. I would guess there are probably only 15-20 sets out there, and every single one of the owners out there has been contacted directly to tell them that there have been concerns with the brightness. Additionally, all of the owners have already seen all of your criticisms, as I know you have personally contacted many, if not all of them. I hardly think your lengthy "review" thread needs to remain in prolonged bumped status to the point where it has almost become a sticky thread. 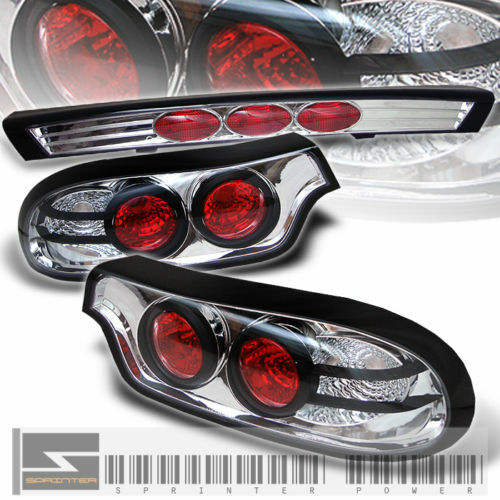 The Version 1 tail lights have been discontinued and are no longer being produced. Demanding your "review" thread be merged back with this one seems like it would only get in the way of your excellent DIY. Why continue to beat a dead horse? I think if you are truly worried about the legality of peoples cars, and the tail light safety issue, you should shift you attacks and criticisms away from this "dead horse" and onto the larger problem in the Rx-7 tail light market. Well, like I said before, keep up the good work with your excellent DIY. I wish I could continue with my own tail light design tinkering but as I said before I wouldn't the NHTSA to call me up now that you've given them my information. Anyway, I think we should all get back to you DIY. No sense in obsessing over my old design now that it's discontinued. ...but not much use to the 95% of people who cannot (or like me, WILL not) spend 8-20? hours of their free time goofing around with leds and a soldering iron. i have a busy life and i highly value my free time... therefore i would gladly rather purchase a finished working setup like SBG/Theory lights that i can just plug n play, even if it was not as crazy ridiculous bright as this DIY setup. regarding the original thread, i dont see any logical reason (only personal ones) why david keeps pushing for it to be put back here... in fact, the whole thread could be deleted without hurting anyone. lets face it, a "review" thread on a product that is NOT FOR SALE anymore and only owned by less than ~30 people is completely useless. it is not serving the community in any way. it would have been nice to see a constructive collaboration where you offered to help produce an improved version that we could all purchase... oh well. at least this DIY thread has actual useful information for a small handful of people. Actually, David said many times that he wanted to "work together" on a new verison of the lights, but I told him I wasn't interested for reason that don't need to be discussed in this thread. I think we should try to get this thread back on topic, specifically David's re-design DIY guide, that way the mods don't have to step in again. Looks to me like the 40mm rounds would have been a better fit. Is there a wide angle LED available similar to the ones David used for the ring centers? I noticed the same thing in a lot of pictures. Also, these lights still look way to bright, even toned or dialed down as you mentioned. In a lot of pictures and videos, one doesn't even see the color of the light/lens, just blinding white. Is it safe to drive around with them like that? On a completely unrelated note, that's funny. I tried googling 3 rotors engines about a month ago to find information regarding their legality. I did not find anything conclusive, but I assumed so. You mention the intensity of the brake lights and they look too bright. They are not. As you know from the information in my thread before it got hacked up, I test everything with a light meter so I am able to objectively adjust the light levels. This is the only way to keep opinion such as what is going on in this thread out of the equation. The current light intensity of the brake lights are just slightly above the level of my previous www.superbrightleds.com bulbs so I am confident the level is good. I have also been behind the lights during the day and at night and the lights are not blinding. And as I point out over and over again, if you think the lights are too bright, then simply adjust them down to any level you wish. What is better than that? As I said before, the iPhone camera does a really bad job of capturing LED color and intensity, at least for me (I used the auto setting for these pics and videos). See the parking light pics at night I posted up? Do you think the intensity of them is accurately represented by the blinding blurry light captured by the iPhone? I can attest they are nothing like that in person. The are a very nice red and amber color - and not blinding. On your completely unrelated note, I can definitively help you with the question of the legality of a 3 rotor in the US. It is legal to have one installed in the car to the extent that it is no different than what most all of do on the forum and that is modify our cars. This is contrary to what most believe to be the case but this comes straight from my attorneys on the matter, Van Ness Feldman (http://www.vnf.com/practices-MobileS...egulation.html). Because of a perceived threat to me, I have retained them should the need arise. Van Ness Feldman represents many OEM car manufacturers on emissions issues, including Mazda which is pretty cool. In any event, my attorney, Andrea Campbell, is an expert on state and EPA emissions issues. As an aside, Andrea recently had to go to CA to the ports to allow Mazda to send over several cars for Sevenstock. Anyway, the good news for all of us 3 rotor owners is we are fine and not at any more risk than any other person who would modify the emissions system on a car. Be certain your car won't be seized and crushed. I know CA has special laws in addition to what applies to me and on those regulations I am not knowledgable and didn't discuss with Andrea. I also don't know about other states except FL where I am registered, and I know FL has no regulations. What does this mean? First, DOT doesn't care about importing the engine. There are several ways to legally import the engine into the US. From an EPA perspective, the engine is "non-comforming" as it was never sold here in the US (although there might be some wiggle room here as MazdaSpeed did sell 3 rotor crate engines for a period of time). You can install a non-conforming engine into an FD but then EPA is concerned about the resulting emissions from the car. Will it be more than is was previously? If so then you might be subject to a $2,500 fine and that is the extent of it. I could cure this by installing emissions equipment like high flow catbacks and could successfully argue the car has been updated and better than before, thus avoiding a potential fine. But two loopholes exist for customers like me. First, if I reasonably believe the car to be fine then that is the end of it. I sign a statement and the EPA moves on. Second even if something were to come up, it would be the shop that performed the conversion that would have the issue as my conversion was sold to me as street legal. So, it is possible Pettit Racing would be on the hook for the $2,500 fine which would be assessed to them for tampering with the exhaust system on the car. So, the conversion is legal but the resulting emissions might not be. This puts me back to the statement that the 3 rotor conversion is no different than any 2 rotor owner that has altered the emissions systems on the car. And finally, it is the shops that perform the swapping out of emissions equipment that are most at risk, as a $2,500 fine could be levied against them for each car they have worked on where they have altered the emissions equipment. But as a practical matter, the EPA simply doesn't have the time for stuff like this. Though the continued criticisms about my "Version 2" lights is a bit unnecessary. See all the technical data I have provided on why these won't work. You say you are pleased with the light output so why not test them and report back on the light output? Or if you'd like send them to me and I'll test them just like I have with everything else. I have two of these in my workshop and this is what I was originally going to use. Testing however confirmed they are way too bright and will literally blind you. If you think the current ones are bright, the 7 led stars are 700 lumens versus the 400 of the ones on the parts list. I know they can be turned down but they are $25 more per unit so there is no reason to spend more when you hare to turn the light output down anyway. "Even the "turned-down" turn-signal lights are bright and in your face at ALL angles"
Also know these are the same LEDs used in most OEM applications. 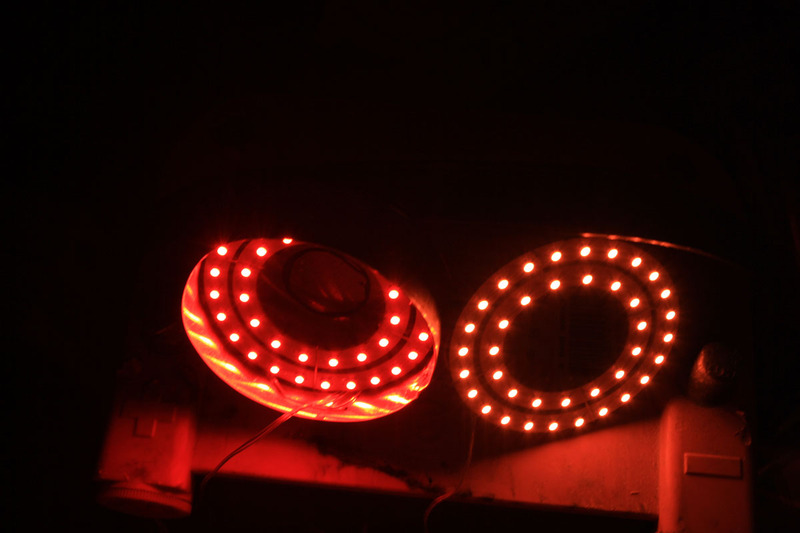 Of course the center reflector for the brake LEDs will control the angle of the light output but it is also greater than 45 degrees. These are 120 degree units, a slightly less viewing angle than the center brake LEDs. So, the center brake light LEDs have a wide viewing angle than the parking lights. Summary, use them with confidence. The 3-Rotor is not legal for licensing in CA. In a nutshell engine swaps require the replacement engine be the same age or newer, same class (IE no truck engine in a passenger car), and have all the original smog related equipment installed and functioning. I don't know for sure, but I suspect that the engine has to have met CA smog requirements in the original vehicle. CARB approved engine swaps are allowed, IE the GM EROD engine. Sorry for getting slightly OT. ^ no problems. CA laws are much different so I was not comfortable commenting on that. thanks for the writeup. Your taillights look amazing! ^The pics seemed to have been lost when the thread was split. I'd like the mods to put it all back together and have requested that. Waiting. If I need to reload it all, then I have to wait until I head back to FL in a week. I have them on my iMac there and didn't put them in the "Cloud" as I didn't know they would get messed up. Print these out and they should be full size. Damn david, fantastic write up. I would love to do this one day, but all of this was pretty much jibberish to me lol. Guess ill be sticking with plain 99 specs for a while. I'd also like to throw in there how i hate how someone jumped into the thread trying to be sneaky and start ****. How many of the "turn signal" and "Brake light reflectors" do I need to cut out? Awesome work Bryan! Look forward to your comments on the process and the results. The difference in the outer rings for the brakes and the turn signals is the size and the shape. The brake lights are 80mm units and the turn signals are 75 mm units. 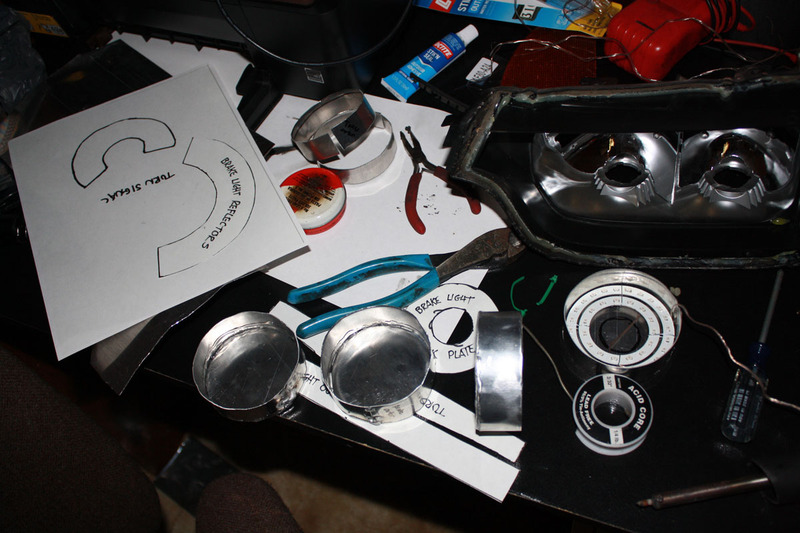 What I did was to first cut out the 80 mm and 75 mm acrylic rings and then shape the metal rings around them to ensure they would slide into the outer ring once it was riveted. The parking light assemblies you made also need to slide into the back of the assembly where the acrylic ring goes in the front and the back plate fits over the parking lights to make one unit. I see you have glued in the backplates first which is opposite of what I did - I saved them for last. I guess you can put in everything from the front, starting with the parking lights and then the acrylic ring and the brake reflector. But to do this you'll need to form the reflector to fit into the acrylic ring on the front and then the inside of the parking light LED assembly you made. Should work but for me it was easier to leave the back plate off to cut and form all the components and to then work from the front acrylic ring back. Make sense? For the turn signals, because the metal rings are 75 mms, the parking light assemblies will not slide into the 75mm rings. 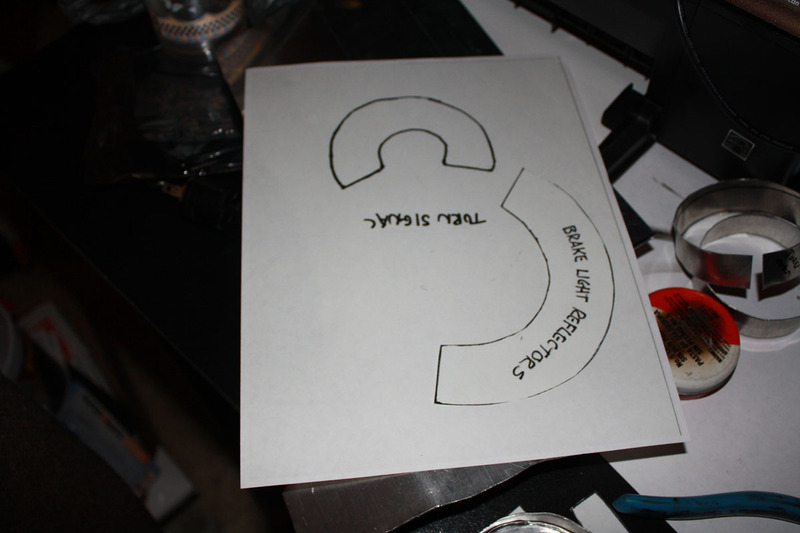 You'll need to put them on the back of the ring and glue/metal tape in place. The SMD LEDs will fit into the metal ring and the plastic of the units will form a cap over the back of the ring and you'll then put the metal back plate over this. Finally, do you see how thin the supplied wiring is on the parking light rings? I would definitely replace this with something thicker. I don't know if you were a Therorie LED conversion customer, but if not, you'll need to do some plastic molding on the turn signal plastics. See my post on that. If you are a Theorie customer, then you might need to do some trimming on the turn signal plastics to get everything to fit. It's snug as it is so I did some trimming on the right side but the left fit in with some massaging. Keep up the good work and post up pics/questions as you go along! not everyone knows about this but, in california each year there is a limited amount of "specialty built titles" handed out for custom built projects that do not have to meet california safety crash test standards. these are deemed as hand built vehicles but cannot be built primarily with factory manufactured parts. with that sort of title i can imagine the 20B might be legitimized. problem is it is difficult to meet all the criteria and even harder to get on the list for one of the titles. there is also hybrid conversion vehicles, i'm not sure about engine requirements but you could run a car on E85 and should qualify it as a hybrid. Last edited by RotaryEvolution; 11-13-11 at 12:34 PM.